A total solar eclipse will take place on Monday, August 21, 2017 Across America. 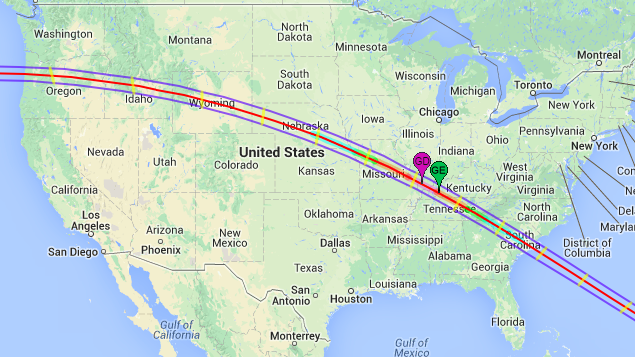 Here you'll find some of the best eclipse maps. 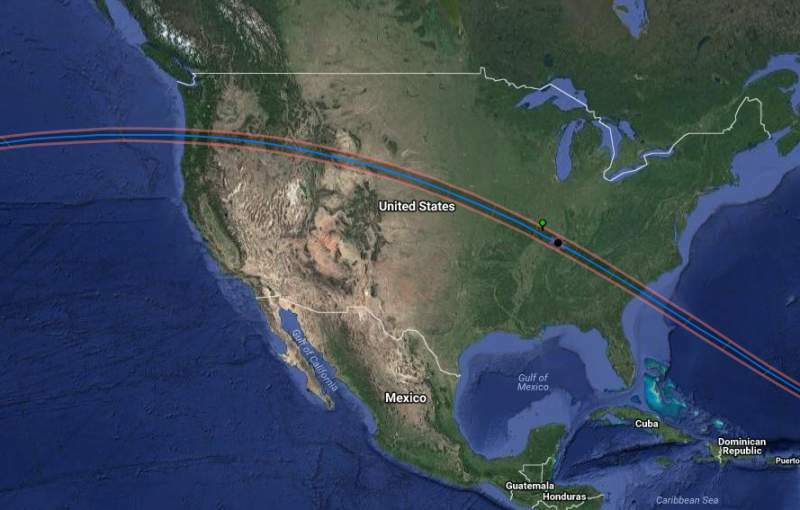 About Map - Path Map of Great American total solar eclipse" of August 21, 2017. The solar eclipse will happen on Monday, Aug. 21, 2017 at 9 a.m. in Oregon, reaching totality between 10:15 and 10:25. These people are coming to America, because for the first time in 26 years, a total solar eclipse will occur in our great country, and we will play host to the world's eclipse-chasers.